The Panasonic Lumix DMC-ZR3 is a versatile pocket camera that offers excellent shooting performance, captures nice photos, and is loaded with useful technologies (e.g. Intelligent Zoom, iAtuo, etc.) Read more in our Full Conclusion. 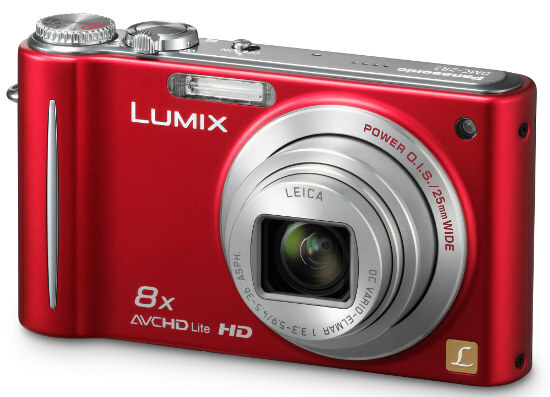 Panasonic's DMC-ZR3 is a 14-megapixel compact camera with an 8x ultra wide angle, 25mm lens. Panasonic also boasts their new 10x intelligent zoom on this model, which extends the zoom ratio by approx. 1.3x while still maintaining picture quality. In addition they promote a 16.9x Extra Optical Zoom capability, but the image quality does drop to 3-megapixels. The ZR3 uses motion JPEG as well as AVCHD Lite (Advanced Video Coding High Definition) format for the video recording. The AVCHD Lite (developed by Panasonic and Sony) allows for almost double the recording time over Motion JPEG. The ZR3 has an all metal body, POWER O.I.S., a 2.7-inch LCD and iAuto mode for easy picture taking. It is available in Blue, Black, Red and Silver and sells for around $300.00.